Fast and futuristic hardware, today. In today's Full Nerd, we cover the Nvidia GeForce RTX story so far, AMD losing their PC chief Jim Anderson, and Brad's review of the Acer Predator X27 - a 4K G-Sync HDR monitor. In this episode of the Full Nerd, Gordon Mah Ung, Brad Chacos, and Adam Patrick Murray dig deeper into some seriously fast gaming hardware. And, uh, Gordon dodges bees. Now that Brad’s back stateside, we caught up on everything we know about the GeForce RTX 20-series graphics cards so far, from pricing to performance and everything in between. Live viewers had an absolute ton of questions, and we answered as many as possible. 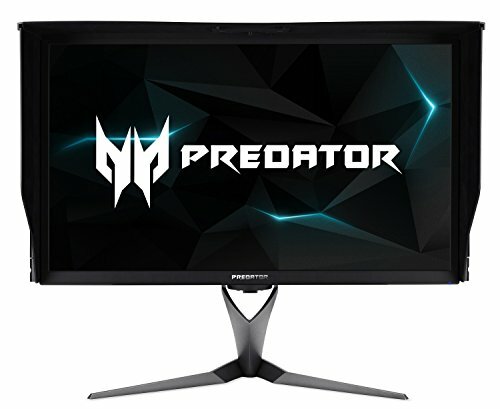 A bit later, we also dived into Brad’s review of the Acer Predator X27, a 4K, 144Hz G-Sync HDR monitor that truly feels like it’s advancing the state of the art. And it better for $2,000! The forthcoming GeForce RTX 2080 Ti looks poised to push this ultra-fast monitor to its fullest, something that today’s GPUs simply can’t do. It’s not all Nvidia news, though. AMD PC chief Jim Anderson, a repeat guest on The Full Nerd, has left the company to head another semiconductor business, and AMD is producing all 7nm chips at TSMC now that its longtime fabrication partner GlobalFoundries is pulling back from bleeding-edge designs. Witness it all in the video embedded above. You can also watch The Full Nerd episode 65 on YouTube (toss us a follow while you’re there!) or listen to it on Soundcloud if you prefer the audio alone.